Beautiful apartment of 79 m ² consists of two double bedrooms, a large living room with open kitchen and a bathroom with bathtub. 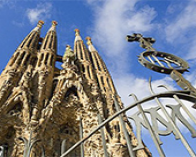 The accommodation also has a terrace where you can dine and enjoy the air of Barcelona. For users there is Wifi and air conditioning. 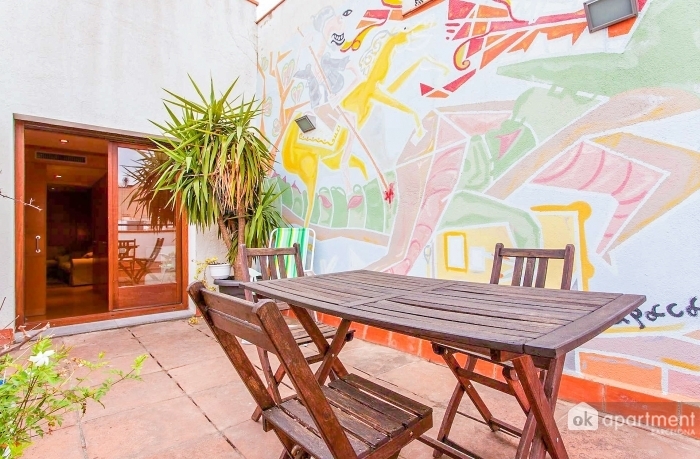 The apartment is centrally located in the Raval neighbourhood, a few steps from La Rambla. This area is quite lively and full of amenities including supermarkets, pharmacies, restaurants and shops for all tastes. From here by public transport such as bus and metro city, you can travel with ease. The nearest metro stop is Liceu (L3-Green).